Today, Napco is proud to be the construction information management company of choice for architects, engineers, and construction professionals in the tri-state area. We’ve worked hard to get here. Becoming the largest reprographic company in the state of New Jersey is a great honor, and it’s something we’ve been working toward, starting from the very earliest days. Let us tell you how it started. It was 1946 when Bob and Ruth Knapp founded R.S.Knapp Co., Inc. in Lyndhurst, New Jersey. Two years later, Jim O’Keefe was the company’s first employee. In 1950, he was a Junior Partner. By 1959, he owned the entire company, now known as Napco. Providing architects, engineers, and trade professionals with high quality printing, documentation management and essential support helped the business grow and prosper. New branch offices were opened in Edison, NJ and Elmsford, NY. We merged with Commercial Graphics, of Ewing, NJ. The way we produce and process information has changed radically over the years. 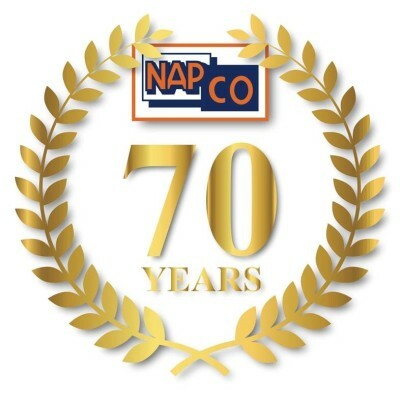 Napco has grown and evolved with the construction industry, embracing a wide range of new technologies, products and services to best serve the AEC community. Today, we value the long term relationships with design firms, manufacturers, and contractors throughout the tri-state area. The expertise of our sales and service personnel, the active customer focus of all our employees, and a multitude of technologically advanced products / services allow us to fully understand your needs and deliver solutions that exceed expectations.